Elinda got her B.S. and Masters Degree in nursing from the University of Central Florida (UCF), and has worked in critical care for over 20 years. She has taught at Brevard Community College Nursing School and hopes to finish up her doctorate at UCF in 2013-14. She will be working on her dissertation in Zambia - on the use of text messages to remind malaria patients to take their medications – one of the big issues affecting malaria recovery rates. 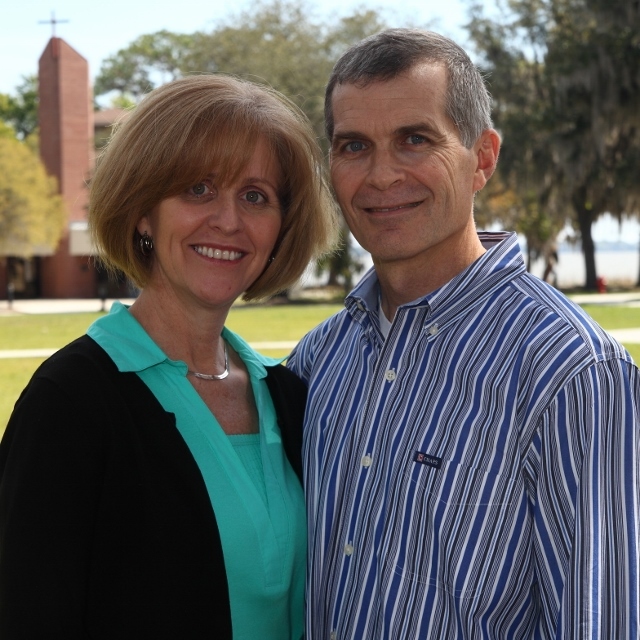 Nate got his accounting degree from UCF then went on to seminary and has served in the Florida Conference of the United Methodist Church for 20 years and served at Kendall UMC in Miami (’93-’95), Community UMC in Marathon (’95-’00) and St. Mark’s UMC in Indialantic (’00-’13). Nate will continue to be a member of the Florida Conference and has been appointed (way) “beyond the local church.” They are going out under the umbrella of UMVIM (United Methodist Volunteers In Mission). Their two oldest children, David and Kristen are currently attending the University of Central Florida and are living here in the U.S. in Indialantic. Mark graduated from high school in May, 2013 and is taking a “gap year” in Zambia. Lindsey is going into the 10th grade and will be attending an international school in Zambia. They are very excited about God’s call to ministry in Zambia. Nate has been traveling there for the last 13 years to participate in Pastors’ School as often as he is able. Through these contacts, God has called him to be in ministry as a part of the team at Kafakumba Training Center ( www.Kafakumba.org ), where Pastors’ School is held. They hope to serve the Church there in whatever capacity is needed. Some of that will be in support of the pastors. Some will be in developing a new discipleship training school of transformation for some of the workers in the businesses that have been started. They will be working closely with John and Kendra Enright as well as Lorraine Enright, all of whom have served as U.M. missionaries. You are welcome to support Nate and Elinda’s ministry through prayer (you can never have too much of that!) and through encouragement by contact. If you would like to receive updates by e-mail, please contact Nate at nesteury@me.com with your preferred e-mail. You can also support them through financial partnership.